Our ProACLS Recertification courses are nationally accredited and accepted in your state and nationwide. Acceptance is guaranteed or your money back. Our compliance staff is happy to consult your employer if any issues arise. 4.5 Rating Based on 3950 Reviews. 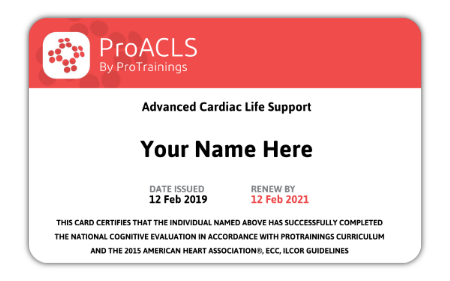 ProACLS Recertification is rated 4.5 out of 5 based on 3955 ratings.